Cheers to M.F.K. Fisher and all things Provençal | "Il faut goûter"
A new friend* recently lent me her copy of With Bold Knife and Fork by one M.F.K. Fisher. I had never heard of this culinary wordsmith before, but I came quickly to admire her wit, wry humor and charming descriptions of smart recipes collected from cultures spanning the globe. She’s a true food writing pioneer, and her love of food as part of the ‘art of living’ emanates from her anecdotes. She’s stolen my hungry heart! So as I’ve been reading I’ve been sticking Post-It notes all through the book, noting recipes I must try or excerpts that made me chuckle and will surely make me smile again. 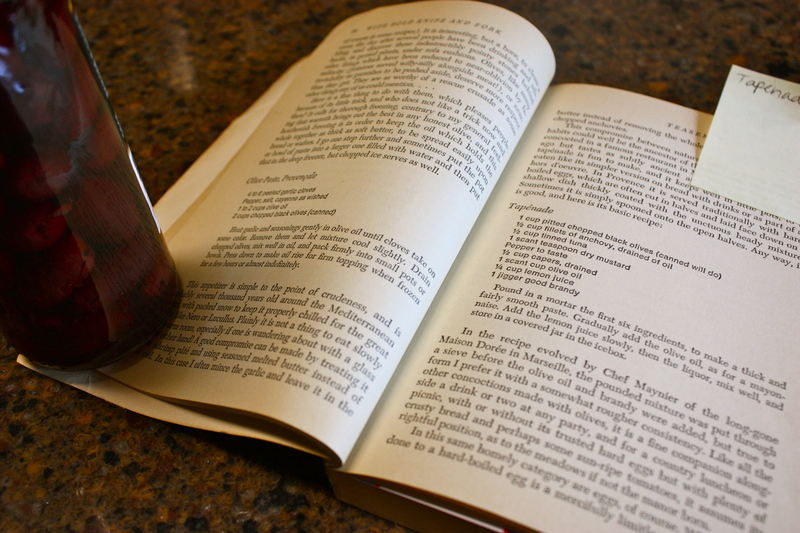 Today I concocted my first recipe inspired from the book—an Olive Tapenade. This classic spread is a staple in the Provence area of France, the Mediterranean region noted for sunshine, gorgeous vistas, and amazing regional foods (olives!). Oh, to be basking in the sunshine of the Cote d’Azur with M.F.K. Fisher, sipping wine and eating delicious saucy things! 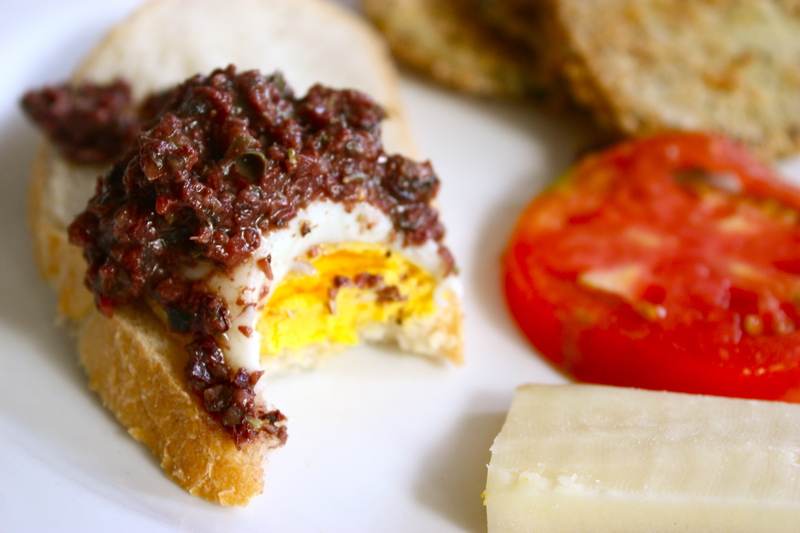 I’ve done a bit of traveling in the south of France myself, and while I came upon tapenade several times served as tapas on little toasts, I never came upon it served so boldly atop humble hard-boiled eggs. I think it sounds lovely, and I wish I had! So I decided to make this dish for a lingering summer patio supper here in sunshiny Tennessee. 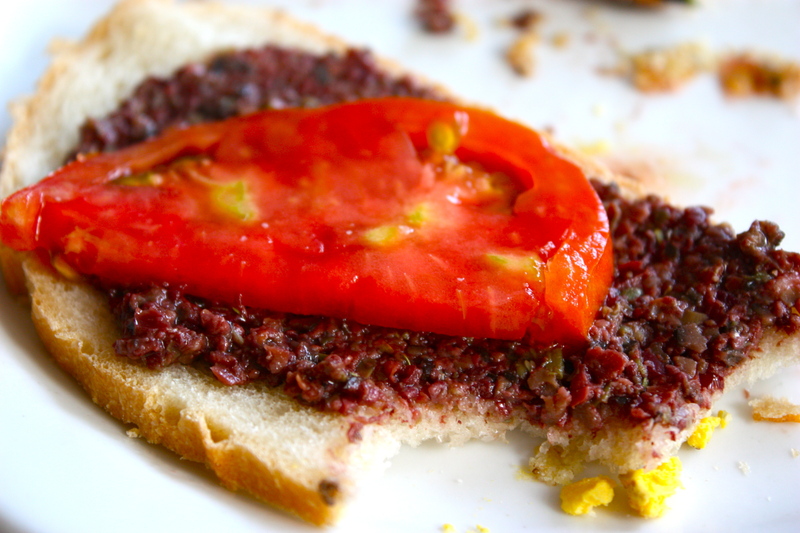 Fisher goes on to say beneath her recipe for tapenade: “Like all the other concoctions made with olives, it is a fine companion alongside a drink or two at any party, and for a country luncheon or picnic. With or without its trusted hard eggs but with plenty of crusty bread and perhaps some sun-ripe tomatoes, it assumes its rightful position, as to the meadows if not the manor born.” Beautiful M.F.K., just beautiful! 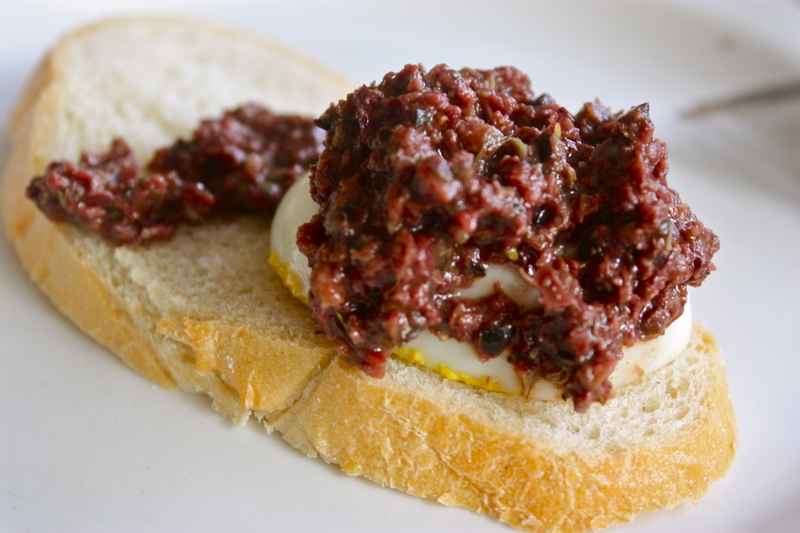 I adapted my tapenade recipe from Fisher’s, though I added a few things and left out the tuna she includes in her recipe, which is traditional in the Provençal recipe. For dinner, served with hard-boiled eggs, toasted sourdough bread, garden-fresh tomatoes, and slabs of cheese, this meal was like summer itself, especially with a platter of assorted fried squash and fried green tomatoes. 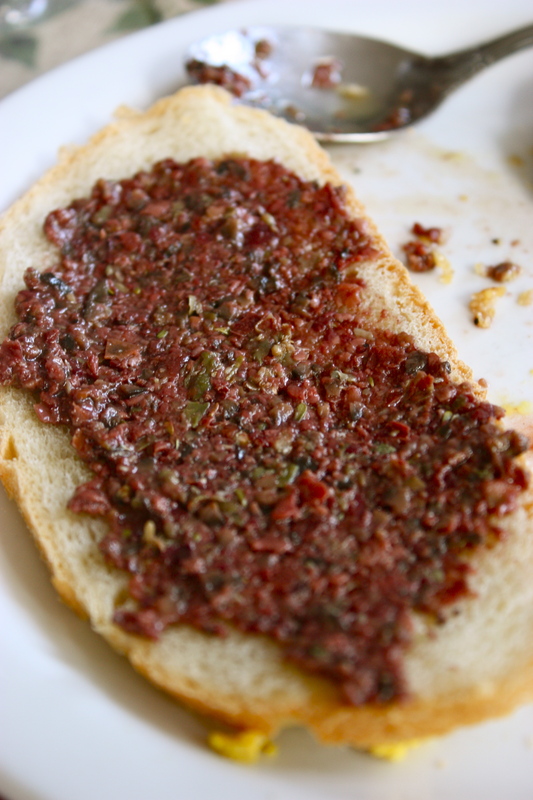 A crisp Picpoul de Pinet wine from the Languedoc region of France was a superb accompaniment to that “unctuous heady mixture,” that gorgeous tapenade. Again, joy! *Thank you Jena for introducing me to M.F.K. Fisher! Put all ingredients except olive oil into a food processor and pulse until well combined. Then, with the processor running, pour in the olive oil and process until the tapenade is a coarsely chopped but smooth spreadable mixture. This makes about 3 cups of tapenade. 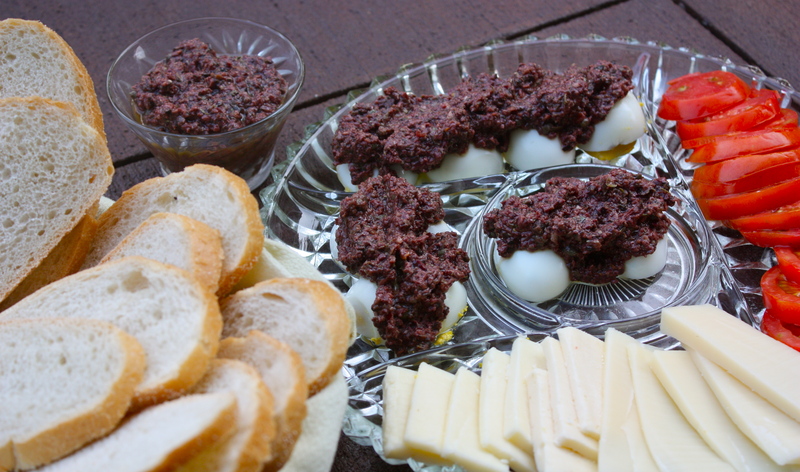 This entry was posted in Uncategorized and tagged hard boiled eggs, MFK Fisher, olive, olive tapenade, provencal, provence, with bold knife and fork by needtotaste. Bookmark the permalink. 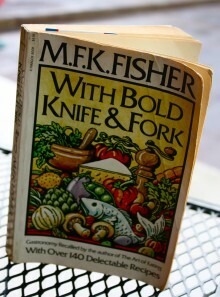 Foodies and lovers of words, check out M.F.K. Fisher’s books! I find them good for both recipes and rumination. love the pictures… definitely going to try this one missy. thank you for the fabu yerba mate latte. I am loving this, Miss! So many delicious ideas!